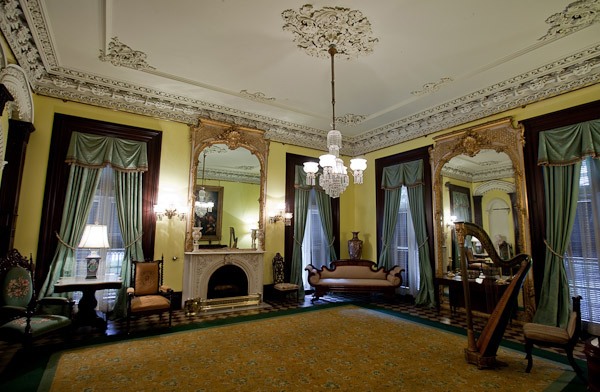 The Green-Meldrim House on Madison Square is open for guided walk-in tours. Tuesday, Thursday, and Friday – 10:00 a.m. to 4:00 p.m. The last tour begins at 3:30 p.m.
Saturday – 10:00 a.m. to 1:00 p.m. The last tour begins at 12:30 p.m.
Walk-ins are welcome whenever the house is open. Tours are conducted in English, and we have brochures in German, French, and Spanish. 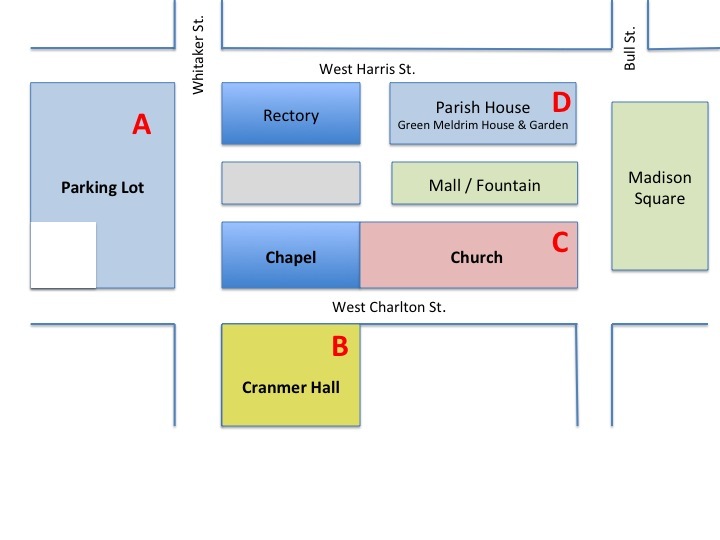 Click here for a St. John’s campus map. Click here for walking or driving directions to St. John’s campus. Church tours are also available: In addition to the Green-Meldrim House, we are very proud of our beautiful and historic church building and like to share it with the community. We encourage you to visit both buildings. When available, St. John’s Church is open to visitors each weekday, 11:00 a.m. to 1:00 p.m. and with guided tours available. Private group tours are available by appointment. Please phone the church office at 912.232.1251 to confirm that that church will be open on the day you wish to visit. Visiting St. John’s Church is free to the public with donations welcome (suggested at $5 per adult); proceeds directly support those in our community needing assistance. 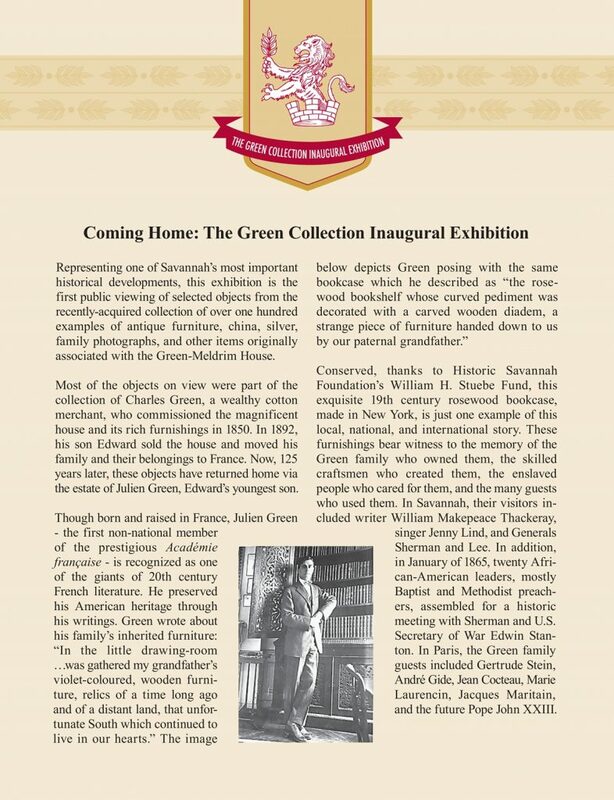 After 125 years, the Green Furniture has returned from France! You can see the furniture, along with historic documents and artifacts during regular house tours.